There are many ways to create titles for your scrapbook pages. While you could use chipboard or sticker letters, those offer limited design options. For the most versatility, turn to your computer to design and print your own custom text. This method lets you cut out letters using patterned paper or cardstock. You can change the font, select the perfect size of letters for your layout, and print reversed block letters onto the back of a coordinating paper to complete the look of any scrapbook page. 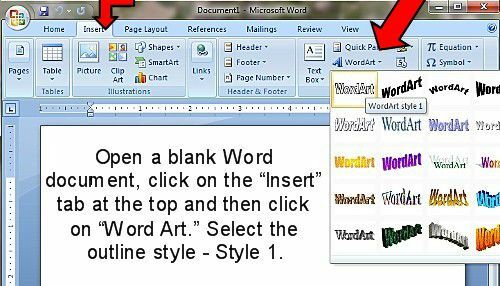 These instructions are for creating reverse block letters using Microsoft Word. The exact steps may vary, depending on which version of the software you're using, though they are a general guide for working with the Word Art tool no matter the version. For specifics on where to find things, reference the "Help" section of your Word version. To begin, open a new Word document. Click on the "Insert" menu and choose "Word Art." Select the basic outlined letter style, which works perfectly for block letters that can be cut out by hand. When you click on the outline style, a text box will open on your document page. You can now select the font style and size that you wish to use. For basic block letters, Arial Black is a font that works very well. Size is not crucial at this point because you can adjust that in the next step. If you have several words or a very long word, you may want to create separate pieces of Word Art so that you can print them as large as you need for your layout. The title "Moments" is used here as an example. In some versions of Word, the Word Art options may open as a pop-up box. If that's the case, click "OK" once you are happy with your text. You should now be able to see how the outline letters will look on your document. Most likely, you will want to increase the letter size so they are large enough for you to cut out by hand. To change the size of the title, select your title so a box appears around the words you typed. You should see small circles around the box: click and drag one circle in a corner to resize the box and the text. If your word is more than a few letters long or you want your block lettering to be larger, you may need to re-orient your document to landscape style. Simply click on the "Page Layout" tab (or find it in the "File" menu) and find the "Orientation" option. Select "Landscape" and click "OK" to return to your document. Now you can continue resizing the word to make it as large as you like. If you reverse the letters so the word is backwards before printing, you will be able to print the title on the back of the paper. The benefit of this is that when you cut out each letter, you won't have to worry about the printing lines showing because they are on the back of the paper. In the "Print" dialogue box, your printer may give you the option to "Mirror" or "Reverse" the print. In some versions of Word, you can right click on the Word Art text box and choose "Format Shape." Look for the "3-D Rotation" option and type "180" in the "X Rotation" box. For older versions of Word, click on the "Format" and find the "Rotate" menu. You will likely see a menu with many choices; look for the phrase "Flip Horizontal." When you have reversed the letters, you are ready to print the outlines onto cardstock or patterned paper. First, however, it's best to do a test print on plain paper to ensure everything looks good before printing on your specialty papers. You can even cut out the test letters and play with the layout on your page. Also, be sure to load your printer tray so you're printing on the backside of the paper. Write something like an "X" on your test paper before printing to find out which side your printer is actually printing on. In the example, the letters are printed on the back of a double-sided sheet of patterned cardstock from EK Success. After cutting out the letter "S," you can see that it is the correct orientation and free of any printer lines once it's flipped over. 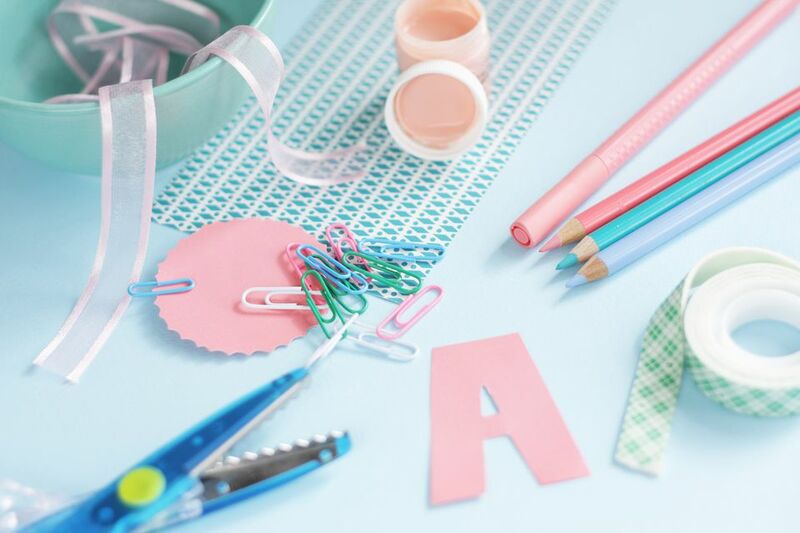 Continue with all the letters and you're ready to decorate your scrapbook page!